Ends: Sun, April 14 2019 12:01 PM EDT. “Tabletop gamers are known for collecting way more dice, miniatures, and other materials then they’ll ever be able to use, and we show no signs of stopping. With that in mind, I’m excited for DoubleSix Dice: Generation Two; it’s a new way of rolling the classic six-sided dice, and the fact that it’s on its second generation with no signs of stopping says a lot about how popular their idea is. Ends: Thu, April 11 2019 10:04 AM EDT. “Wyrmkeep Dungeons TZ2: Curse of the Desert Outpost. I really like this campaign. The guy has 4 other modules out via Kickstarter so he is a safe bet for delivery. The art looks professional and has a color cover. The whole campaign is extremely evocative of old school RPGs, but the adventure is created for D&D 5th edition. I went ahead and backed it, and in the package I selected, I am going to get all of his other modules as well. Ends: Fri, April 19 2019 11:00 PM EDT. 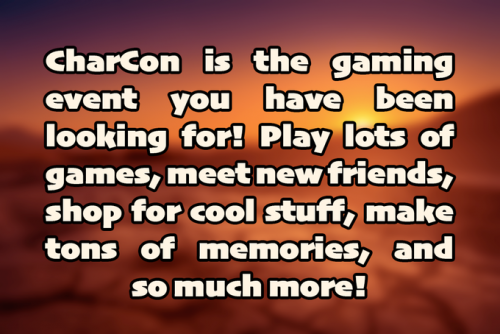 “I’m excited about Arcana of the Ancients where Monte Cook Games brings science fantasy and even the Numenera setting to 5e. The Kickstarter gets the band back together with D&D veterans Monte Cook, Bruce Cordell and Sean K Reynolds which covers a lot of gaming history that goes back to even the TSR days. So my love for sci-fantasy become just as evident with The Ultraviolet Grasslands and the Black City which puts Oregon Trail games, the Dying Earth genre, heavy metal and psychedelic art into a blender to explore a vast land for the next bit of weirdness. The Forbidden Libary 5e is recommended by Peter Sotos (Advanced Fantasy Roleplaying) from The Way of Wicked Sin above. Ends: Sun, April 21 2019 4:00 PM EDT. “I deliberately scrolled down to find some campaigns that were interesting that weren’t at the top! I have always felt that introducing younger players to roleplaying is the best way to build the community for the future. Castles and Cats aims to do this in a way that I wish I had been introduced to it when I was a child. When I first saw this, I was excited, then I found out that the creator also plans to continue her campaign’s story, so I was completely sold on it as a campaign I wanted to back! AcadeCon was recommended by Craig Campbell of NerdBurger Games in a prior column. Ends: Tue, April 9 2019 8:59 PM EDT. 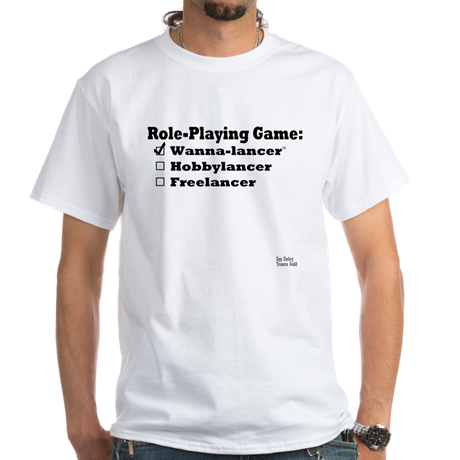 “Neither of these are RPGs, I am more of a board game guy. I am intrigued by the Hammer of the Scots campaign. I was always a fan of the Columbia block games and looking forward to seeing what a deluxe version made with today’s productions standards ends up being. 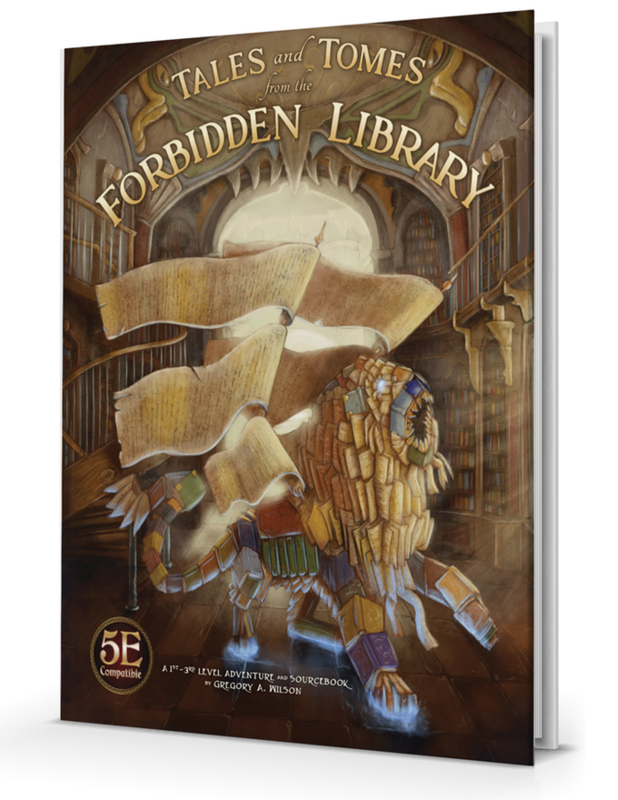 Legendary and professional game designers, writers and artists fill a forbidden library with magic and wonder. Fort Lauderdale, Fla., March 21, 2019 – Alligator Alley Entertainment teams up with Gregory A. Wilson to kickstart Tales and Tomes from the Forbidden Library, which will feature game designers such as Ed Greenwood, Ken Hite, Will Hindmarch, Shawn Merwin, and many others along with great contributing fiction authors like Cat Rambo to make an evocative adventure series and sourcebook filled with poems, art and danger! Tales and Tomes is a 5E compatible adventure designed to lead heroes up to level 3 into the Eastern Wing of Hearthglow Academy’s Library, a forbidden place to students and teachers alike. Prominent SFF authors and tabletop gaming professionals bring the library alive with spell grimoires, weaponry manuals, atlases and bestiaries. Among the clues, the heroes will find scraps of lore, stories, paintings – and everything in between. Even better, as the Kickstarter grows, additional collaborators will be brought in to create even more of the library’s fantastical catalogue. Still early in the first week of the Kickstarter, the project is almost halfway funded with stretch goals already planned. You can find the Kickstarter here and you can contact our media rep., Robert Adducci, here. Premier game master, Twitch TV channel host (ArvanEleron), speculative fiction author, podcaster, and college professor, Wilson has been bringing the world’s favorite RPG to over 5,000 people week after week on Twitch. He also runs popular live RPG events at GenCon’s Writer’s Symposium, all of which serve as the inspiration for the world of Tales and Tomes from the Forbidden Library. In the world of fantasy fiction, Greg’s first fantasy novel, The Third Sign, came out in 2009, followed by the graphic novel, Icarus, in 2016; his third novel, Grayshade (Book One of The Gray Assassin Trilogy), also arrived in 2016 from The Ed Greenwood Group. Founded by hobby industry veterans Rich Lescouflair, Eric Wiener and Brian Dalrymple, AAE brings a world of imagination to go along with their RPG products. The team’s skill set covers years of game design, retail expertise and print production. 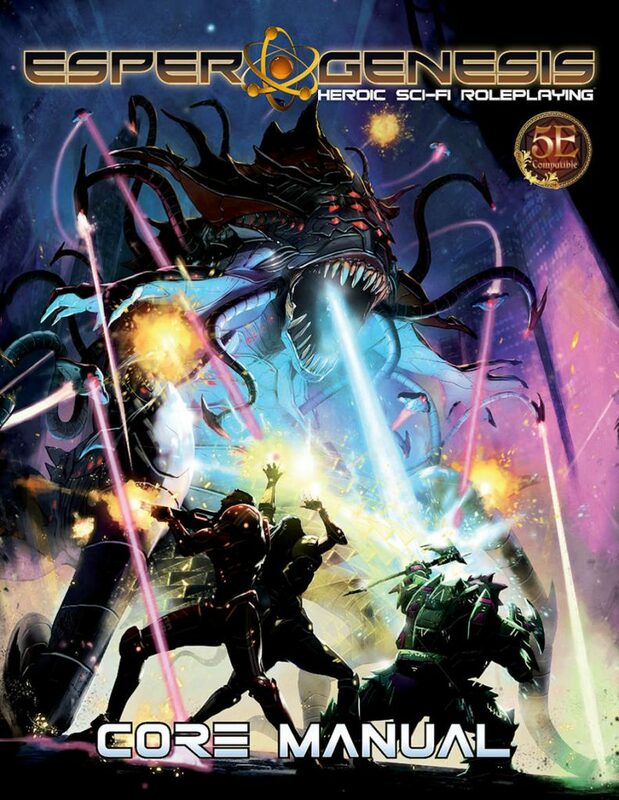 The ENnie-nominated company has created hits like Esper Genesis: Heroic Sci-Fi Role-playingTM with 5E rules, Witch Hunter: The Invisible World of swashbuckling adventure and horror, and The Demonbane Chronicles, a 5E adventure series set on the shattered continent of Sereth. To coincide with Origins Game Fair 2018 (June 13 to 17, 2018), I wrote articles spotlighting some of the games and personalities that were at Origins. Below is a collection of those articles as well as a shout out to Esper Genesis for 5e and Christopher Negelein (I didn’t get over to see the game but I still wanted to share it here because it looks amazing and easy to pick up for all D&D 5e players). Dream Askew // Dream Apart – During the con, this Kickstarter ended with 1,705 backers pledging CA$62,355. While Avery Alder’s prior game, MonsterHearts 2, did not win an Origins Award, it appeared among some amazing games and it speaks volumes to the game. Cold Steel Wardens: Roleplaying in the Iron Age of Comics – I got to play a session of this on the first day of the con and I appreciated its mechanics and how they conformed to the setting. Survive This!! Zombies! 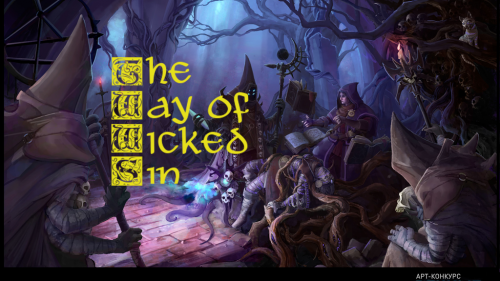 – I got to play a session of this OSR with creator, Eric Bloat. It was inspiring and I’m looking forward to the upcoming SURVIVE THIS!! 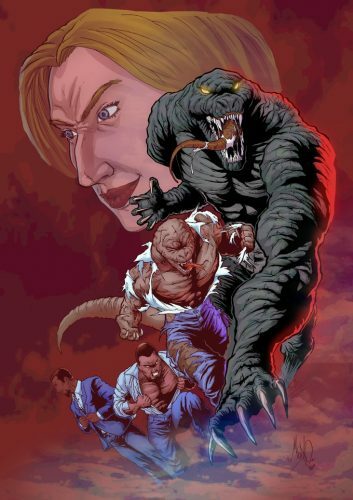 Vigilante City (check out the free preview on DriveThruRPG). Starship Infernum: a tabletop RPG of Interstellar Survival – I did not make it over to their table during the con (lots going on at the con), but this Kickstarter runs until July 4 2018 8:00 PM EDT. Baker Street – I got to talk to Bryce Whitacre, discuss the con, Baker Street: Roleplaying in the world of Sherlock Holmes, and what’s coming next for Fearlight Games. Ankur: Kingdom of the Gods – Chris Miller is from Atlanta (as am I) so we’ve talked at several conventions. It was good to catch up. Fates of Madness, an RPG Card Game – Due to bad timing on my part, I only got to say hi to Jimmy Sanders, but his demos were running back-to-back and his Kickstarter is going strong. Art of War – I missed Greg LaRose at Origins, but I still await the return of his Art of War Kickstarter. “Esper Genesis is a versatile science fiction RPG and setting that uses the 5th edition rules of the world’s greatest roleplaying game. Galaxies at war, high-tech gadgets and weapons, robots, aliens, starfighters, space cruisers, and ancient machines with the power to shape reality – All of these and more make up the core of Esper Genesis. Brace yourself for high adventure in hyperspace as you strive to make your mark within the great expanse! Esper Genesis is a science-fiction tabletop roleplaying game powered by the 5th Edition rules engine and inspired by sci-fi greats such as Star Wars, Mass Effect, Phantasy Star, and Ghost in the Shell. Taking on the role of a galactic hero, you can forge your destiny within a universe of advanced technologies and hidden mysteries. Beyond just a bunch of mechanics, Esper Genesis is a powerhouse of awesome sci-fi that’s fully compatible and interchangeable with any official 5E product. “Heroic Sci-fi Roleplaying“ is the heart of this game. Like the core of 5E, Esper Genesis is just as focused on amazing adventures as it is with fast and easy mechanics. Exotic personalities, alien cultures, and galactic lore are woven together into the setting’s rich history. With a universe that’s immersive from beginning to end, every one of your characters is already part of a fantastic setting you can use to build your own cool sci-fi legend. Create extraordinary personas from soldiers and spies with high-powered gadgets, to engineers wielding specialized rigs and robotics. Though there is no magic, gifted adepts known as “Espers” channel their cosmic energies through powerful devices, producing spectacular feats of gravity control, psychic ability, and the power to shape the very fabric of space-time. I missed this Kickstarter when it was going on, but 336 backers that pledged $24,313 did not. The short pitch – D&D 5e rules used for an epic sci-fi/space opera. If you know 5e, this is an option to take the rules from the dungeon and up into the heavens. 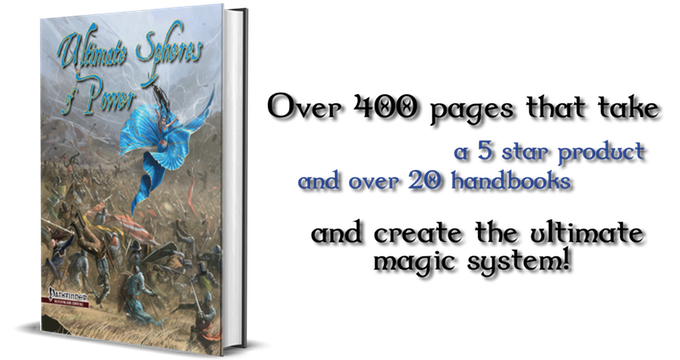 If you don’t know 5e, the advertisements assure that “[y]ou do not need the D&D rulebooks or any other 5E product in order to play.” The core rulebook is available now as well as four free samples over at DriveThruRPG and they’re worth looking into.